I remember when photo tiling was first added to MyMemories Suite. I could hardly wait to learn how to do it. I thought it was the coolest feature ever. It’s very easy to do and really adds something special to a layout. I recently wrote a tutorial about using the Group tool. Photo tiling is one of the effects that uses the Group tool. Below is a page from the tutorial. You can find the complete tutorial here. When grouping animals or people be careful not to chop them up! That is just not right, lol. Here’s a page I made quite a while ago. As you can see, it’s sometimes difficult not to chop off a shoulder or some hair. Remember, you can always ungroup the photo and tweak the placement of each separate piece. But please don’t split anyone down the middle! Landscapes are pretty safe though and look really neat. 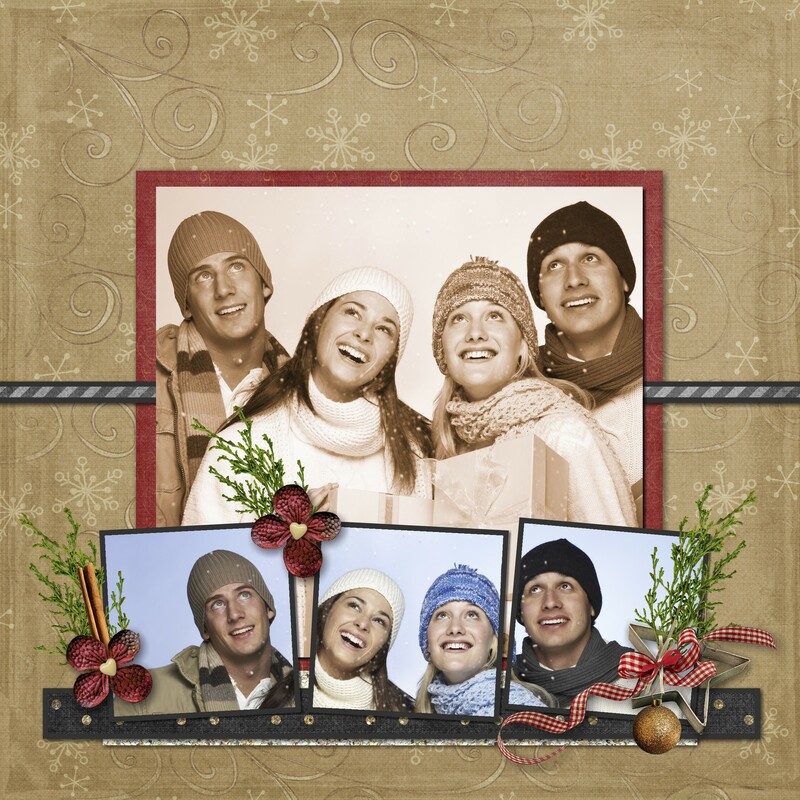 This entry was posted in Digital Scrapping, My Memories Suite, MyMemories, Scrapbook, Techniques, Tutorial on October 31, 2015 by Yobeth. I often group items in MyMemories Suite to make some tasks easier. Alphas are one of my favorite things to use. Some designer’s kits include really cute alphas. For a long time, I didn’t use them. One reason was because it took a lot of time and effort to get them all the same size and lined up just right. But now MyMemories makes it so easy to line them up, space them evenly and then group them. Once grouped they’re treated like a single element. Here’s a page from the Grouping Elements tutorial I wrote. 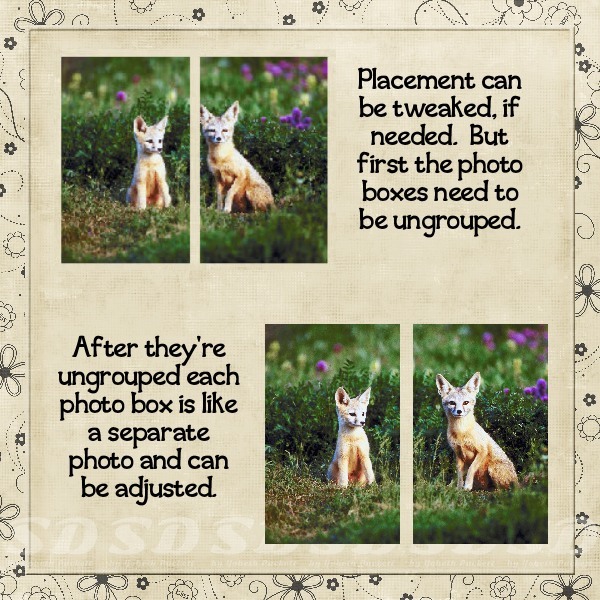 In this section, you’ll learn just how easy it is to align, space, and group alphas. This is just one of the many things you can do using the Group tool. You’ll find the complete tutorial here. I’d love your feedback. Please comment to let me know if you learned anything new and how you plan on using the Group tool in one of your projects. This entry was posted in Digital Scrapping, My Memories Suite, MyMemories, Scrapbook, Tutorial on October 27, 2015 by Yobeth. Creating contrast using complementary colors is a wonderful tool seen in many areas of design. Scrappers are also avid photographers. As a photographer, you will appreciate this article about adding contrast to your images using complementary colors. You can find the article here. Get more in-depth information about color theory here. You may already use color theory to enhance your photos and scrapbook layouts without even knowing it. These color contrasts are all around us in nature and become intuitive. If you’re not already using complementary colors in your designs you should start doing it now. This is one “secret” that will make your work stand out. It’s the added pop you’ve been looking for. 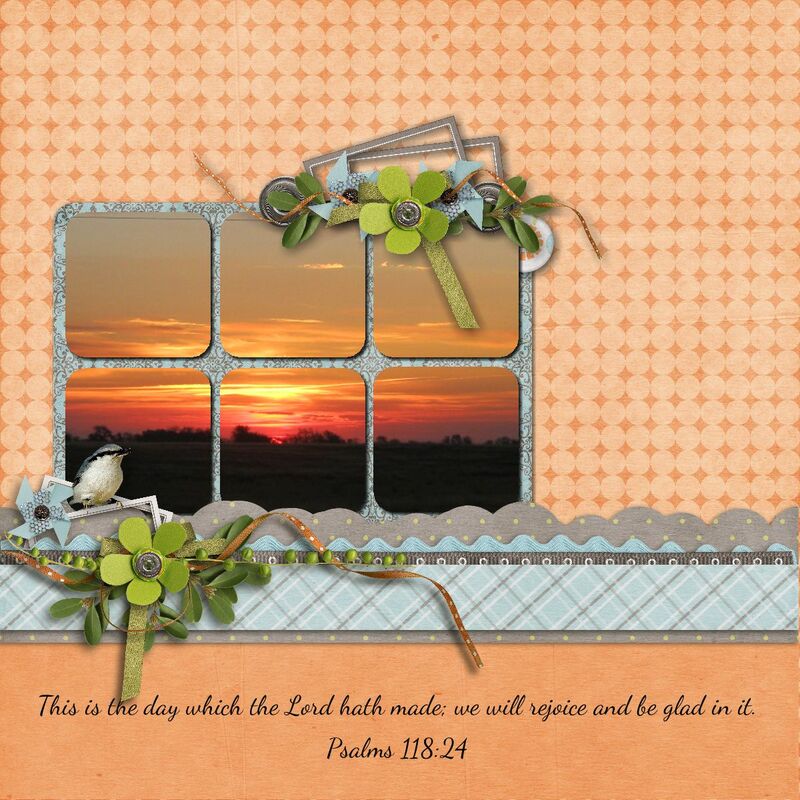 This entry was posted in Design Principle, photography, Scrapbook, Techniques, Tip on October 10, 2015 by Yobeth. Color theory is a large part of many, if not all, areas of our creative lives. Whether you’re an artist, photographer, fashion designer, interior designer, florist or scrapbooker, the colors you choose have a major impact on your composition. I love color! I love combining colors that will complement a layout or design. That works out great since we have an almost endless supply of color choices. There are tens of millions of colors in our wonderful world but they all start from three root colors. The three primary colors when mixing paint are red, yellow and blue. These are the root colors that can be combined to create every other imaginable color. When you combine any two of the primary colors the resulting colors are referred to as secondary colors. Most people know you combine red + yellow to get orange, yellow + blue produces green and blue + red equals purple. These are the secondary colors-orange, green and purple. Combining a primary color with it’s closest secondary color produces six tertiary. Think of it like a family tree. The primary colors are the parents, their children the secondaries and the tertiary are grandchildren. The tree just keeps expanding to produce an endless array. Light passing through a prism mixes a little differently. The transmitted primary colors are the color of the light source itself and are red, green and blue. The mixing of these colors of light is how television mixes light to get colors. Keep in mind it’s not necessary to understand everything there is to know about the two types of primaries because the end result is that using different colors in relation to one another is the same regardless of the set of primaries. How you combine colors in your layout is where the magic begins. Some colors just seem to work better together to achieve a pleasing design. A color wheel is a great reference tool to easily learn which combinations work best. Use color theory to take you scrapbook layouts to a new level. This entry was posted in Design Principle, Digital Scrapping, Techniques, Tip on October 8, 2015 by Yobeth.